The reason why I’m so invested in helping everyone get the quiet home of their dreams is that I know the many benefits of having that kind of peace in your private life when everything else seems so hectic. It may come as a shock right now, but for most of history, people were actually living fairly quiet lives. However, we should also acknowledge the potential benefits of certain types of noise. So today, I’m looking into the effects that white noise has on the brain. By the end of this article, you may discover that listening to white noise may come with some quite similar benefits. However, that’s not to say that the practice is completely without fault. But before we dive into these topics, let’s first settle on a workable definition of the term. When researchers are talking about it, though, they’re almost always talking about the latter. So let’s talk more about the noise that accompanies the visual snow on a TV without a signal. Well, if you’ve been following my articles for a while, you’ve probably memorized the definition of white noise. The static is simply a mix of all of the frequencies humans can hear. So that’s anything between 20 and 20,000 Hertz. Unmodified, this sound is fairly high-pitched even though all of the octaves are equally powerful. That’s because the human ear perceives higher frequencies as being louder than lower ones. If the buzzing sounds are too annoying or prevent you from sleeping, there are other colors of sound you can seek out. Pink noise, for example, is an equalized version of white noise. As you can see in the article I linked to, it does exist in nature. However, the way we’d make it involves making octaves slightly less powerful as the frequencies heighten. That levels the playing field, so to speak, so we’re able to perceive a more even sound. Red or brown noise is an even deeper alternative to white noise. The higher end of the spectrum all but disappears in favor of the lower frequencies. Personally, like this noise the best for sleeping. However, there are also other colors of noises, all of which I’ve discussed in the article above. I should also mention that many people refer to all of these noises as white noise. So when I’m talking about the effects of white noise on the brain, they’ll apply to all of these other noises as well. First, I’d like to talk a bit about the benefits of using white noise to sleep or work. Fortunately, there’s plenty of evidence that supports all of the things I’ve been saying. I’ve been recommending white noise machines and fans to you for a long time with the promise that it will improve your memory, concentration, and focus. Did I have any hard science to back those claims up? Alright, I’ll admit it: I didn’t. But now I do! 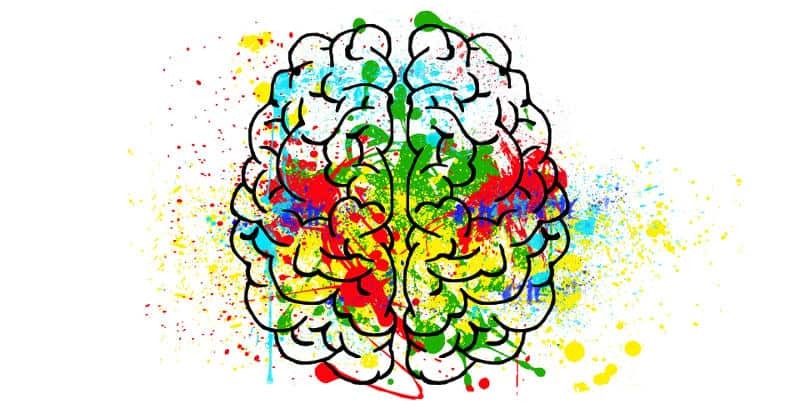 According to an article published in the Journal of Cognitive Neuroscience, the ways in which white noise affects the brain are visible in an fMRI scanner. The researchers saw that the white noise promoted greater connectivity between the parts of the brain that are responsible for focusing and regulating feel-good hormones. That means that the participants in the study were actually getting a reward for paying attention. Where was this information when I was trying to get my degree? In addition, a 2010 article in Behavioral and Brain Functions concluded that white noise could improve the focus of children who are otherwise inattentive. However, it also found that usually attentive children suffered when they had to perform tasks while white noise was playing. These findings may be something you want to consider if you’re wondering how white noise would affect you. A brief online search will tell you all you need to know about white noise and its benefits for sleep. This article explains it all nicely, and it even highlights pink noise as a particularly good tool for falling asleep. It’s nothing I didn’t already but the author even mentioned a study which found that pink noise increases deep sleep. That’s actually something I wanted to take note of as well. Whichever color of noise you prefer, listening to it throughout the night may really help you if you’re a fidgety sleeper. The noise acts as a dense acoustic curtain that prevents you from hearing things that go bump in the night while you’re in dreamland. Then, obviously, one good night’s sleep extends into the following day to keep you more rested for longer. Granted, the fact that white noise can help you fall asleep quickly may also be a matter of training. When we go to bed every night falling asleep to the same noise, we naturally begin to connect the sound with bedtime. So it may actually be a matter of conditioning our bodies to go to sleep when we hear the cue. Last year, a study published in the Journal of Nursing Research set out to find out whether white noise could lessen anxiety to such a degree that it could be useful for treating older patients with dementia. As you can tell by now, all of these studies are relatively new, so we haven’t yet found out all we should know about the properties and effects of white noise. However, even with their small sample sizes, they can still teach us something valuable. This specific study concluded that white noise is an easy way to manage the agitation of a dementia patient. The findings were primarily meant to help healthcare providers and carers of dementia patients. Still, you can see how this may also prove to be a significant study for other mental health patients who struggle with agitated behaviors. For example, some children and adults on the Autism Spectrum deal with similar outbursts — would white noise help them? And that’s not even mentioning people who suffer from other, borderline common mental health illnesses such as depression or anxiety. Millions of people could benefit in the long run. While I was doing my research, I ran into some contradictory accounts regarding the relationship between white noise and tinnitus. Many healthcare professionals recommend white noise exposure as a valid course of treatment for people with tinnitus. As I’m sure you’re aware, symptoms of tinnitus include constant or occasional ringing, buzzing, or whistling in the ears. However, although it’s true that white noise is a common treatment for tinnitus, it may also exacerbate the issue. That being said, let’s move onto the potential harm white noise may be doing to your brain. Of course, I’m nothing if not fair. So I feel the need to let you know some of the potential negative effects white noise may be having on your brain. To begin with, let’s continue our discussion about tinnitus. A couple of months ago the JAMA Network published “Unintended Consequences of White Noise Therapy for Tinnitus”. In that article, several researchers claimed that one of the more serious consequences of treating tinnitus with white noise included the worsening of the symptoms the patients presented with. 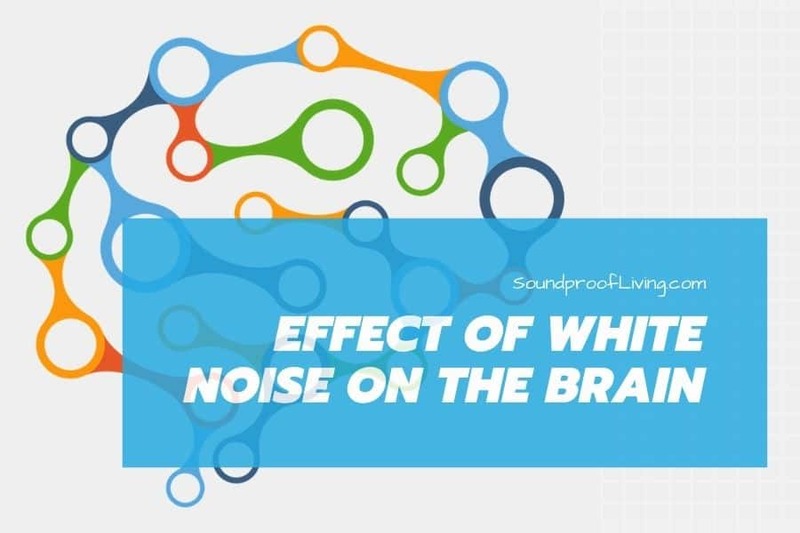 In fact, these researchers believe that overexposure to white noise might lead not only to worse buzzing but to hearing loss as well. These findings are particularly worrisome because they wouldn’t only apply to tinnitus patients. People who are in no way hearing impaired may suffer the consequences too. After all, white noise is actually quite similar to something a person with tinnitus may hear. So even though it’s used to mask the sounds of tinnitus, it may actually make things worse or even cause perfectly healthy people to hear buzzing. To make things worse, the authors of the article also mentioned that people with tinnitus are more likely to develop dementia. So if white noise could make even healthy people develop tinnitus, it’s safe to assume that dementia would be right around the corner as well. But really, since these results were published only a few months ago, we’d need to have more research pointing to this conclusion before I’m convinced. Other people are skeptical too. Ed Cara at Gizmodo strongly disagrees with the idea that white noise can in any way harm someone’s hearing or exacerbate their dementia. In fact, he implies that the research is likely an ad for the brain-training industry. As for me, I believe that as long as the noise volume isn’t too high, you should be just fine. So I’d take all of this with a grain of salt. Having recently written reviews of white noise machines for kids, I find myself thinking about the negative effects white noise may have on young brains. After all, kids’ brains are very malleable. So you’d think that they’d be more susceptible to the negative effects of white noise overexposure, right? Well, some people do say that children can develop speech impediments as a result of listening to white noise. Personally, I disagree. People have even told me that kids shouldn’t even listen to kids’ music or watch cartoons before they know how to speak. Supposedly, even those things can make them a bit lazy when it comes to talking. So I’m not sure how much credence I give to this claim. I’ve certainly seen it enough times that I thought I should include it into this segment. But ultimately, no reliable sources have made the connection between white noise and speech impediments. I’ve also seen that some people are worried that falling asleep to the sound of white noise might actually be addicting. That’s another claim I’ve encountered while researching white noise machines for kids. I can understand why people may believe that it’s true. However, as I’ve explained in the aforementioned article, this is likely no more than a habit. And, fortunately, most habits can be broken. But really, if it’s helping you more than it’s hindering you, I don’t see why you would need to give up the habit of falling asleep to the sound of white noise. That is, as long as you’re not playing it too loudly or experiencing any consequences (such as buzzing) afterward. So what do you think — did white noise live up to your expectations? As you can see, the benefits of using white noise approach the ones that I’ve listed at the beginning of the article. In fact, using these types of background noise can be hugely beneficial, whether you’re trying to work or sleep. Actually, there are all sorts of great effects of using white noise around the office, in particular. And if you want to avoid some of the potential negative effects I’ve mentioned, you can simply limit your exposure to white noise. Even though I really don’t think that it’s necessary, I’m all about practicing caution until there’s more research. If you’re like me, though, you’ll want to figure all of these things for yourself. In this case, that means getting a white noise machine, a fan, or simply trying out various sounds you can find on YouTube. And hey, if none of the colors of noise end up working for you, you can always keep looking. Currently, I’m enjoying listening to instrumental music while I work, and pink rose to fall asleep. You just have to find the winning combination for yourself.